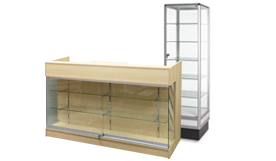 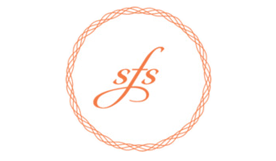 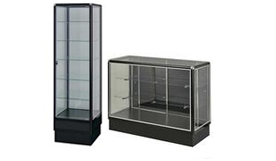 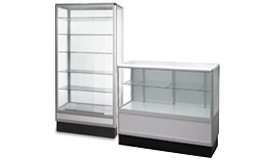 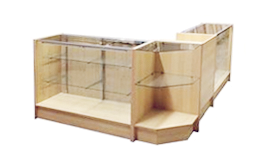 Glass Display Cases Sale – Ablelin Store Fixtures Corp.
We carry a variety of glass display cases, cash register counters and display counters. 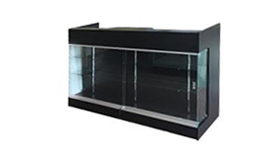 From aluminum full vision glass display case, showcase, half vision glass display cases, one third vision jewelry showcase, aluminum tower showcase in silver and black finish to wood full vision showcase, half vision showcase, one third vision jewelry showcases, and also wood display counters, cash wrap counters, retail counters, cash register stands in black and maple. 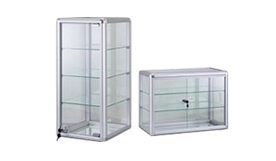 We offer the best value display cases that can be used as an individual unit or can be combined to create your custom showcase. 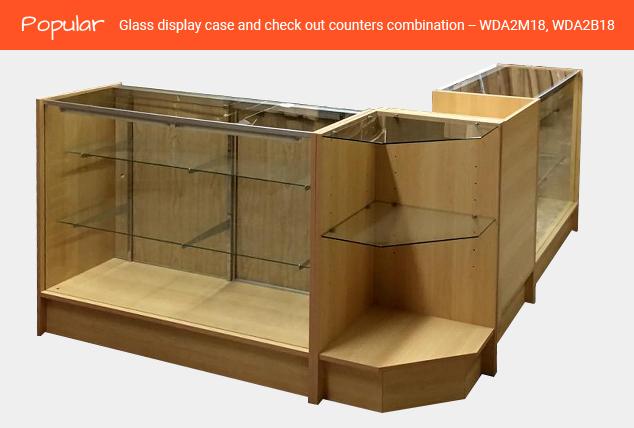 Our checkout counter selection consisits of corner cases, cash register stands, wrap counter stands, vision showcases with glass front. 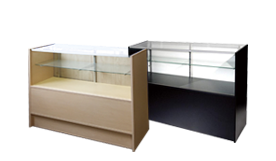 All of the showcases are available in black, white and maple colors. 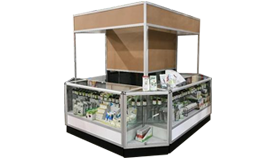 Retail checkout counter commonly encompasses a wrap counter stand, corner block or filler, service cash wrap and showcase. 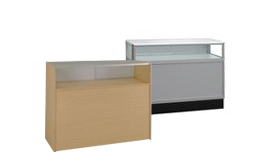 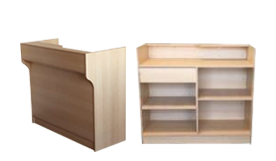 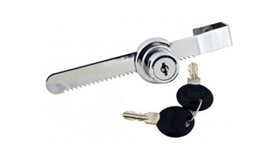 Our retail check out counter kits can accamodate nearly any retail shop, gift stores, botiques, and other placements.